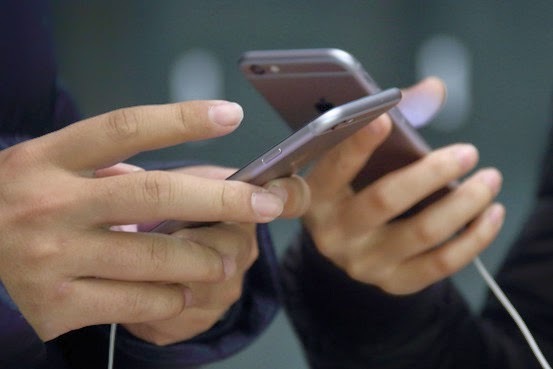 Government worried with the new tougher and stricter encryption schemes which are being implemented by Apple in its iOS and Google in Android have the ability to prevent the law enforcers from getting their hands on the user’s data. Snowden whistle blowing incident has accused major upheaval in the tech industry which has resulted in the plummeting of their trust rating. Now the tech companies are scrambling around to reinstate their image and business by using much aggressive and strong encryption for saving users privacy. Apple is first company to include the encryption by default in its recent iOS 8 version while Google is working towards bringing the encryption on all the devices with its Android 5.0. Past week the Facebook owned messaging service provider WhatsApp has flipped the switched and had enabled the much needed end-to-end encryption on its messaging platform. These encryptions are seen as the boon for the users and consumers as it will give much more privacy but it is also acting as a major tumbling block for the government. The government officials are extremely worried regarding the rampant use of advanced encryption in the consumer products by the tech companies. Officials had asserted that these very same features which protect user’s privacy could end up in protecting the criminals. In earlier times the tech companies were extremely cooperative as well as complacent in providing the government with essential information which was taken as shock by the general mobile phone and network users. But the advanced encryption works through not storing the encryption keys on the Apple’s or Google’s servers, thereby the concerned authorities won’t be able to get their hands on it even if they possess the required warrant. The Wall Street Journal reports that a Department of Justice (DOJ) official had eventually told the Apple executives during a classified meeting that in near future their company could be directly responsible for the death of a child. The logic behind stating such grave point is that government officials believes that one day criminals probably a kidnapper could rely on the Apple’s encrypted devices for hiding themselves from the law enforcement authorities. Such inability of law enforcement in accessing the data on that person’s phone could inevitably allow him to evade detection and kill a child as well. Apple had rubbished such accusation and even calls it inflammatory as well as inaccurate. Apple further said that the government have much more better means in such cases like taking help of the cellular carriers which would pinpoint the location of the suspect in a faster and convenient manner. This incident reflects that in the future with advent of strong and advanced encryption method government would be kept at bay from large chunk of information and at the same time the privacy of the users would become more stable. However government should take more advanced steps in strengthening its reach but not at the cost of citizen’s privacy.